The village of Melsele is located west of the city of Antwerpen on the N70. From the motorway E17/A14, which runs between Kortrijk and Antwerpen, turn off at junction 16 onto the N419, direction Zwijndrecht. Follow this road to the junction with the N70 and turn left towards Melsele. 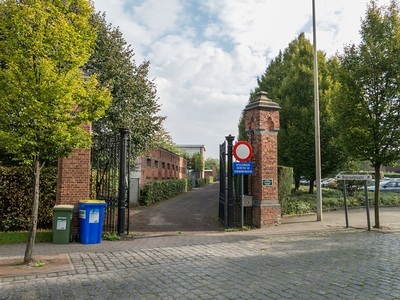 Take the second turning on the right called Sint-Elisabethstraat and the cemetery is along here on the right. 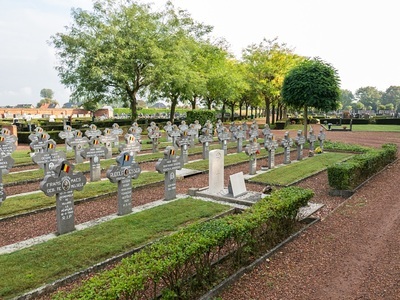 The grave is located to the right of the Belgian Military plot. 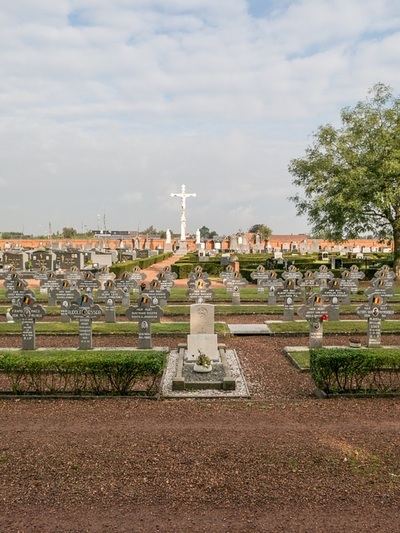 Melsele Communal Cemetery contains one Commonwealth burial of the Second World War. 14568992 Private Harold William Warden, 1/7th Bn. 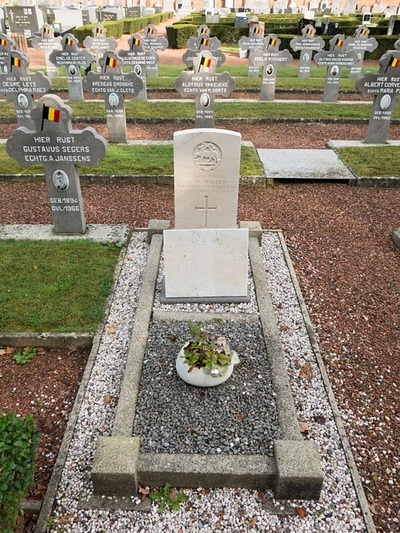 The Queen's Royal Regiment (West Surrey), died 11th September 1944, aged 19. 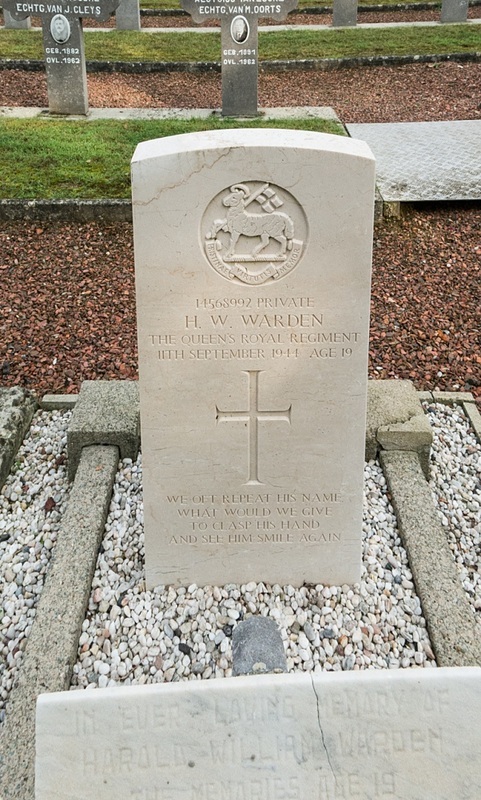 Son of Arthur Sidney and Eva Gladys Warden, of Bedford.